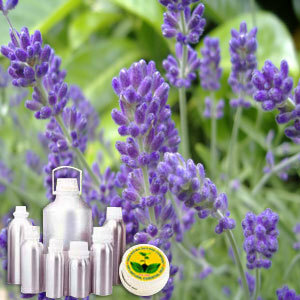 This oil offered by us is extracted from Lavandula angustifolia of the Lamiaceae family. It is also known as garden, common or English lavender. The CO2 extraction process ensures that we are able to offer only the best quality of lavender oil. a-pinene, limonene, 1,8-cineole, cis-ocimene, trans-ocimene, 3-octanone, camphor, linalool, linalyl acetate, caryophyllene, terpinen-4-ol and lavendulyl acetate. A top note of strong aroma, Lavender 40/42 has a fresh, herbaceous, floral scent with a woody, balsamic undertone. Cedarwood, clary sage, geranium, pine, nutmeg and all the citrus oils. Garden, common or English lavender, lavandula angustifolia. Lavender has always been associated with beauty products, but this CO2 Extract Oil has other medicinal qualities as well. It is effective in cases of severe headache and is good for the nerves. Moreover, it is an effective cure for various respiratory troubles, along with being a great cure for digestive disorders. It is also effective in relieving pain and healing wounds.